Brian is the type of guy who has family, work and not a ton of time left for surf. So the annual surf trip is sacred and Brian makes the most of it. He hunts down waves like a paddling machine, picking off sets and scraps. It took all my energy just to get him to slow down for a second and answer a few questions. Where'd you learn to surf? ﻿﻿﻿﻿I learned to surf in Malibu California when I was nine. I used to hang out at this beach, and all the older guys would go surfing, and my buddies and I would try to borrow a board or grab a soft-top, which back in those days was a Doyle. And we’d just go out and charge the worst beach break of all time. And that's how I learned to surf. A 6'7" Natural Progression, orange on the bottom, yellow deck, single fin. What've you been riding on this trip? I've been riding two boards. I've been riding a 5'10" Firewire Potatonator, which has been my go-to. And I've a 5'6" Mandala ASQ, which has been super fun. I wish the waves had been more conducive to surfing that a little bit more. What'd you do for work? I'm in sales management in the textile industry, commercial flooring. Something you've learned on the job? 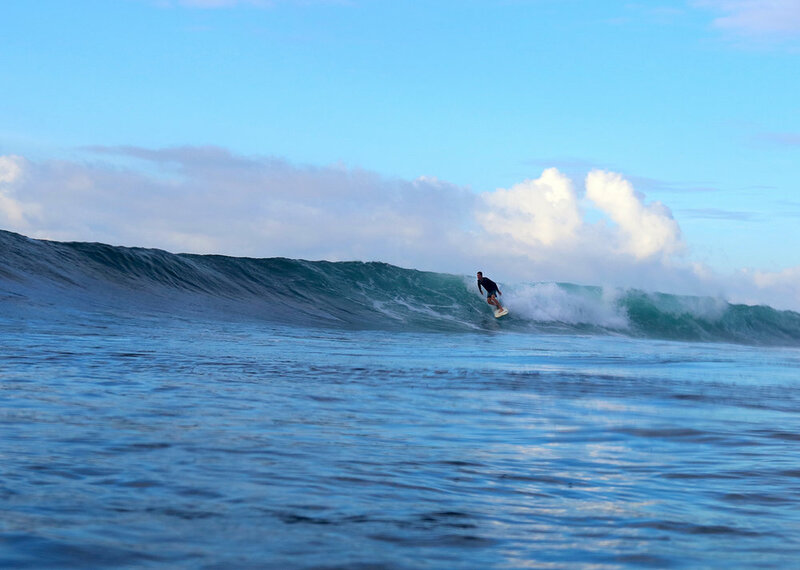 One of your favorite surf days? I would say today. It was a cool journey. Going somewhere new that you've never been to before and cool people and super fun little wave - nobody in the water but your buddies. Great food (at Mizata Point Resort in El Salvador). It was a perfect day. Parko. I like guy's style. He's a smooth operator. And I am quite taken by John John Florence. I've watched that kid come up and it's pretty impressive. Favorite movie has to be either Goodfellas or The Godfather 2. Probably that burger we had at lunch with a bowl of fruit- that was fantastic.